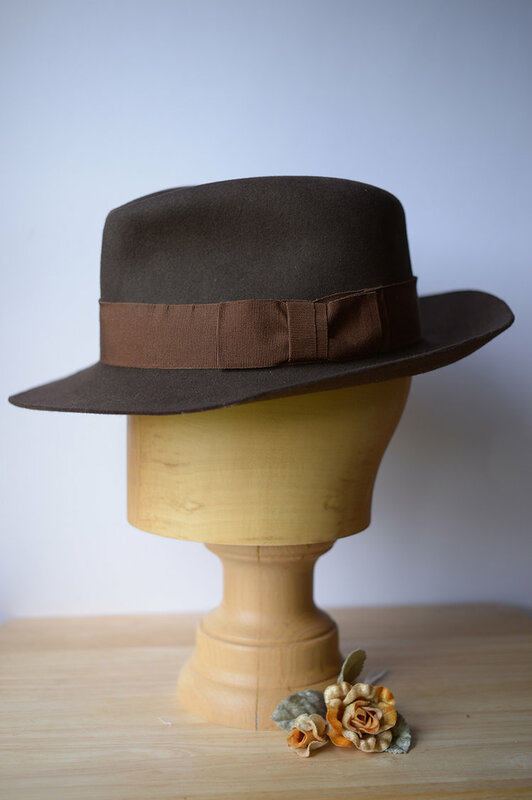 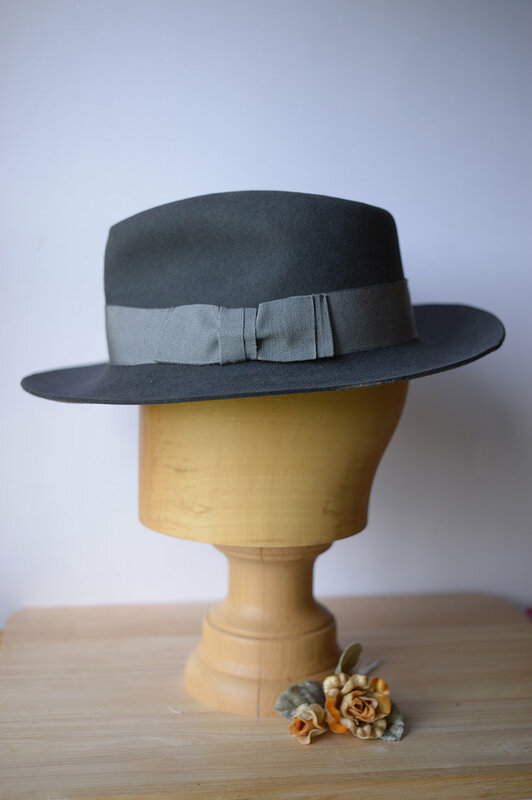 Hand blocked mens traditional 40’s wide brimmed fedora in mid grey and dark brown. 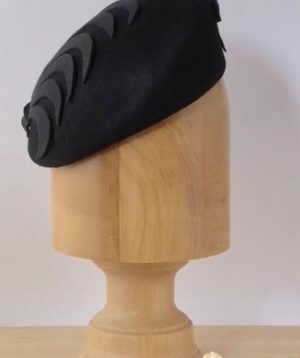 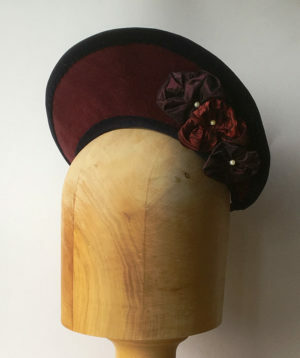 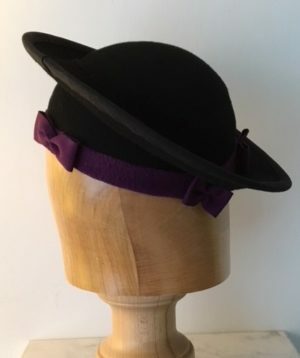 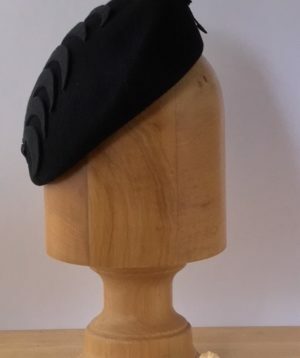 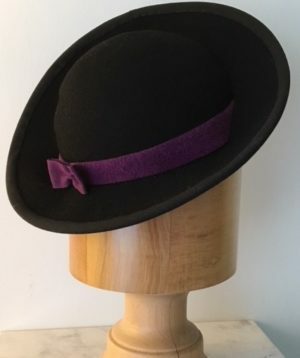 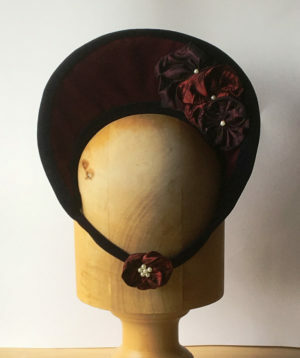 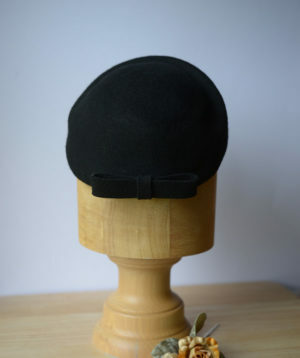 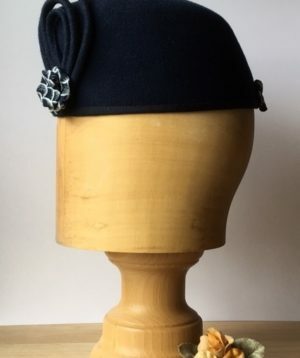 Both hats are internally finished with a leather hat band and externally finished with a wide grosgrain ribbon and traditionally tied bow. 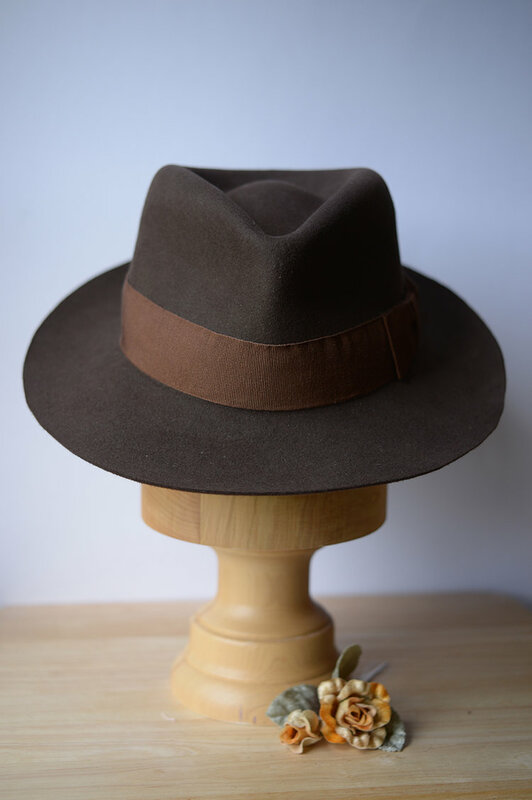 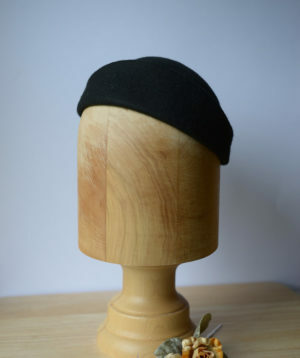 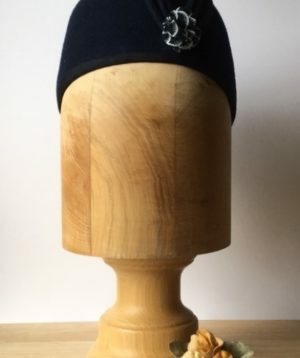 These hats will fit a man’s size L.